VALENCIA, CA / ACCESSWIRE / March 4, 2019 / Lief Organics, a premier formulation and product development innovator and manufacturer of dietary supplements, hosted a group of students and faculty from California State University, Northridge (CSUN) on Wednesday, February 27, at the company's Valencia headquarters for a tour of Lief's facilities, as well as business insights from the company's management team, led by Adel Villalobos, Founder and CEO. Villalobos, an alumnus of CSUN, offered the student visit as a mentoring opportunity to inspire and share his experience as an entrepreneur and to discuss career development and potential internship opportunities at Lief with prospective students. The CSUN attendees included six students, accompanied by Christina Mena, Career & Professional Development Associate and Adrienne Walt, Director of Development, College of Science and Mathematics. Adel Villalobos, Founder and CEO of Lief Organics, commented on the event, "I greatly value my education and the experience I had at CSUN and the role it played in helping me achieve business success. It's extremely fulfilling to be able to host these students and to provide guidance from Lief's leadership team that we hope will assist these bright young students in their career development and future growth." Adel Villalobos (Right), Founder & CEO of Lief Organics, a premier formulation & product development innovator and manufacturer of dietary supplements, based in Valencia, CA, addresses students from California State University, Northridge (CSUN) and leads tour of the firm's facilities during a career development and internship event hosted by Lief. 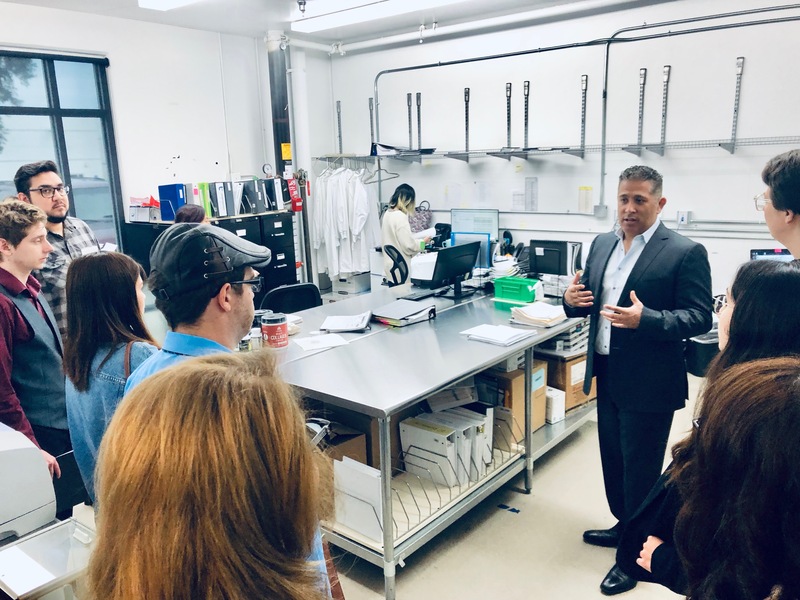 The day's itinerary included a tour of Lief Labs where students received a behind-the-scenes look at the company's supplements manufacturing operations. The visit was rounded out with special presentations from the Lief management team, as well as a luncheon and engaging Q&A session. Christina Mena, Career & Professional Development Associate at CSUN, said, "I'm so grateful for the opportunity to sit down with Adel today to learn about his passion, the importance of overcoming fear of failure and having a vision for the future. CSUN is 360,000 alumni strong with nearly 40,000 students attending classes at the university. Those are powerful numbers. Adel is a perfect representative of the 360,000 - someone who leads and innovates and whose passion and vision can truly inspire not just the students who attended the Corporate Connect event, but the thousands who attend CSUN." Lief Organics is a premier formulation and product development innovator and manufacturer of dietary supplements. Our in-house Product Development and R&D Team creates the best tasting and most cutting edge formulations for your dietary supplement needs. Lief also houses a state of the art, full-service **cGMP** manufacturing facility, which offers custom solutions for a multitude of dietary supplement categories. At Lief we have the industry knowledge and vision that allows us to stay ahead of trends and recognize opportunities for collaborations with entrepreneurial firms to help them build premier brands that stay relevant well beyond product expiration dates. Lief‘s turnkey solutions provide the ability to streamline operations which integrates with our customers to engage in a seamless partnership that helps brands with scalability, regulations and sustainable growth. To learn more, please visit www.lieflabs.com.